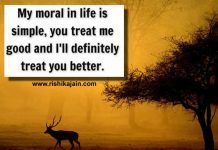 You name them – work, family, health, friends and spirit. And you are keeping all of these in the air. 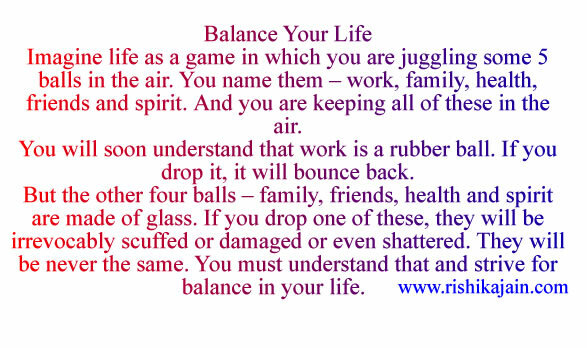 You will soon understand that work is a rubber ball. If you drop it, it will bounce back. But the other four balls – family, friends, health and spirit are made of glass. If you drop one of these, they will be irrevocably scuffed or damaged or even shattered. They will be never the same. 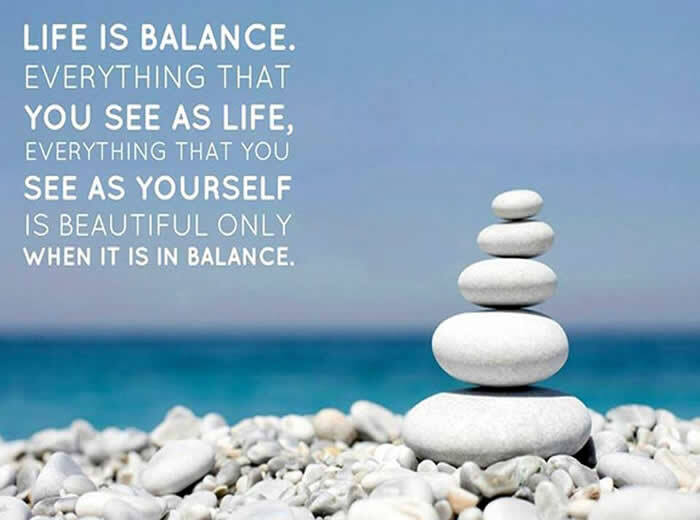 You must understand that and strive for balance in your life. 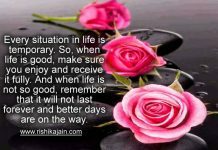 If you are self confident…..Inspirational Quotes, Pictures and Motivational Thoughts.